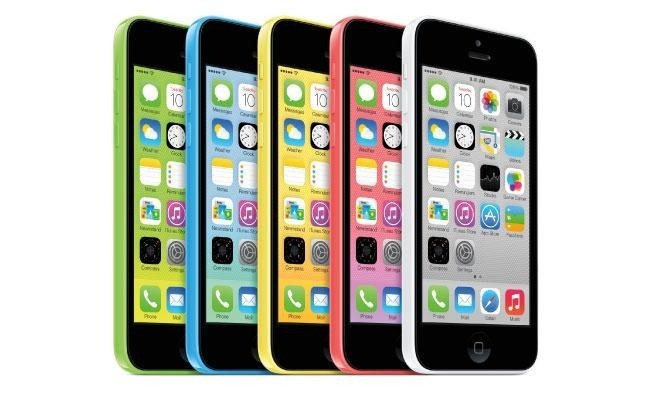 Apple could release brightly-colored versions of the iPhone as part of this year's fall refresh, suggests investment firm Rosenblatt Securities, reviving the color scheme used in the iPhone 5c in an attempt to make an LCD-equipped model more distinct from the versions using an OLED display. The note by analyst Jun Zhang written for Rosenblatt Securities and received by AppleInsider, the firm believes Apple "could launch multiple colors for the iPhone 8s (LCD model)" later this year. The choice of bright colors, including blue, yellow, and pink options, will apparently be an attempt to target the "younger consumer market." Previous rumors speculate Apple will continue last year's change to three iPhone model releases in the fall refresh, with two OLED models with 5.8-inch and 6.5-inch displays accompanied by a 6.1-inch LCD version. Aside from being cheaper, potentially as low as $799, the note suggests Apple needs to "differentiate the designs of the LCD model from the two high-end OLED models." The firm estimates as many as 120 million iPhones could be produced in the second half of 2018, "including 60 million LCD iPhones and 50 million OLED iPhones." This is in line with another Rosenblatt report in April, which also split the 50 million OLED iPhones down to 28 million 5.8-inch and 22 million 6.5-inch models. Rosenblatt has also joined the chorus of recent reports speculating the introduction of a triple-lens rear camera in its 2019 iPhone launches. As with other analysts, it is believed this could allow Apple to add a 3D-sensing solution to the back of the iPhone, which could enable similar photographic functionality as offered by the TrueDepth camera in the iPhone X for self portrait shots. Such a system's depth mapping could allow for improved bokeh for portraits, the application of digital masks to a subject's tracked face, or even the enhancement of ARKit applications. The trend of 3D sensing and the possibility of having it on both the front and back of devices leads Rosenblatt to suggest it will be good for a number of Apple suppliers and other firms, including Lumentum, Viavi, AMS, STMicroelectronics, and Sony.